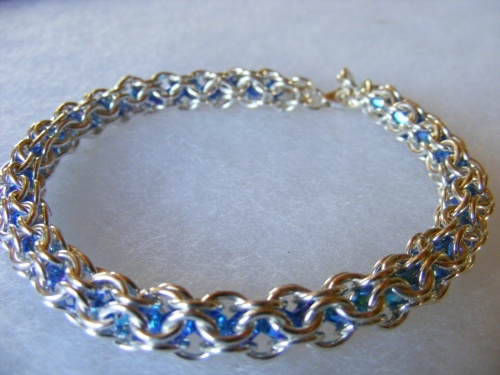 This gorgeous steling silver chainmaille weave bracelet has Swarovski crystals captured in the core to make it really sparkle. The process of making this bracelet is quite intensive where ive made each ring and then wove them together around the core of crystals. Be the envy of people that see this on your wrist.